One Stop Family Pop Up: 1 Stop Family Pop Up @Mini Market! People enjoyed a beautiful autumn day at Socrates Park. We set two tents. 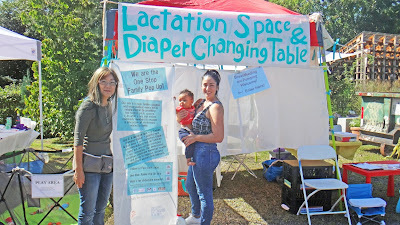 Left is the artist’s tent and right is the lactation tent. A play yard, diaper changing table, nuts free table, priority seats, and stroller parking were aside. 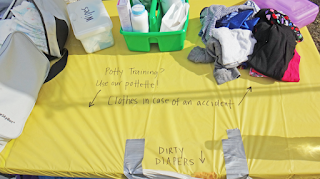 There were also diapers, changing sheets, wipes, some clothes, dirty bags, and sanitizer gels on the diaper-changing table. Those supplies are the things parents need to carry when they go out with a baby. This makes it difficult to parents to visit events especially outdoors. We want to make change on it. 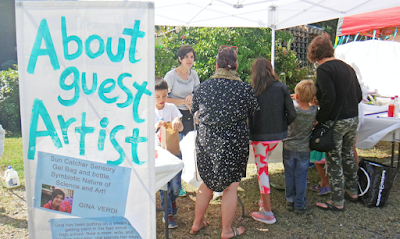 The guest artist Gina invited people to join her WS. Not only kids but also many adults enjoyed process of making bags with beautiful color gel. 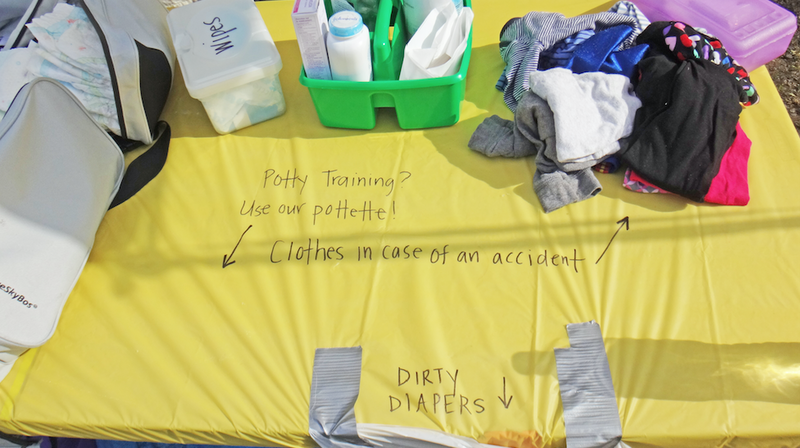 There was a play yard, so parents keep their toddler safe and then could participate in the art WS or, take some extra materials and enjoy cratering your art works at a home! Thanks for Materials For The Arts for these items! One Stop Family Pop Up is supported by Citizens Committee for NYC, and New York Foundation for the Arts.